“I’m the safest and most protected person,” embarrassingly insisted the embattled and newly-appointed Cyber Security Minster of Japan in November 2018. Apparently, Yoshitaka Sakurada admitted that the he’s never used a computer in his professional life! The Guardian newspaper quipped and described this blunder as “system error”. Despite several security and skill challenges in the information technology (IT) sector, it remains an important area for creating job opportunities for young people. This’s particularly crucial for young women from small cities or rural areas with limited employment options. Kosovo is an example where the local economy struggles to accommodate young people entering the labour market; young Kosovars are twice as likely as other adults to be unemployed. EYE Kosovo, a skills development project, works in the “Women in Online Work (WoW)” initiative to enable young women to compete in the global market for jobs in the IT and other jobs offered on online freelance portals. The initiative aims to open new job opportunities to women and, potentially, with more attractive benefits. Yet, availability of a training programme is insufficient to enable young women enter or re-enter the labour market. Sustainably financing the programme, in addition to ensuring its quality, is as critical as its design and availability. How does EYE address the financing issue? This is the focus of our blog. Skills development determines success in the labour markets. It’s a strong predictor of stable and quality jobs among young people. Young people with enhanced skills and looking for their first job are better prepared for a smooth transition from school to work. For this reason, it’s important to define skills as one component of knowledge system that includes know-how, attitudes and competencies. This means that skills development goes beyond formal education; it includes non-formal types of training. Young people need different type of skills to meet the different challenges in life: foundation or workforce readiness skills (e.g. language, literacy and numeracy, basic computer skills), technical skills, and transferable skills (e.g. communication, leadership). The EYE project partners with private training providers to make short-term training programmes respond to the demands of the labour market that also fits the needs of the target group. To equip youngsters with skills compatible with the 21st century, the EYE project facilitates and advocates for the formal educational institutions to design skills development initiatives that rely on and respond to market demands. It also facilitates to enable training providers to take more risk into delivering new trainings in the market, as well as finding new functions such as job matching as an added value to their offer. How does the WoW initiative work? It’s implemented through a set of activities that’re logically grouped into three main activity groups or phases: Preparation, Outreach and Selection, Human Capacity Development and Mentoring and Online Work. Mentors enhance their leadership, communication, and coaching skills while making a profound difference in a young person’s life. For online jobs, all people need guidance even more than information. For this reason, the project team established a multi-layered mentorship programme that consisted of project team members and previous WoW participants. During the mentoring phase, 49 girls received contracts on freelance work portals, with an average of 6 contracts per person contracts (with hourly wages ranging from $3 to $17). From 100 girls enrolled, 73 graduated from the WoW training in November 2017. After the completion of the pilot phase of the WoW initiative, the EYE project joined the World Bank to enrich the curriculum with soft skills and business communications. The project carefully and closely assessed the implementation of WoW pilots in Prishtina, Vushtrri, Gjilan and Ferizaj — all funded by different donors, such as the World Bank and USAID. The EYE project has supported the last round of WoW to complete the learning cycle and make the training more business viable. An important new element has been to ensure that the training programme is more aligned with the private sector that would carry on and improve similar training programmes. The other improvement introduced by the EYE project has been a better understanding of the market and the selection of technical profiles according to online work trends. As a result, the training programme has been delivered on graphic design, social media marketing, and bookkeeping to 100 unemployed or underemployed women equally distributed between those residing in Podujeva and Mitrovica Municipality, aged 18-40 years, from different ethnic backgrounds, with some university level education. The objective is to equip them with the necessary skills to compete in the global digital economy and generate income through online work. Financing of training programmes remains a big challenge. A pressing issue for countries like Kosovo is not only to increase resources devoted to training, but also to make better use of existing funds. Employers complaining about unskilled labour aren’t willing to finance training programmes for young people. They aren’t sure about the quality of the training programme and hence the skills of trainees. Complicating things, unemployed youth aren’t willing to pay for specific training without knowing how the training will enable them to enter the labour market. The objective, therefore, is to find different financing mechanisms to make training programmes “bankable” and more attractive to financial and technical partners – from the donor community to business associations and employers. Owing to the successful completion of four rounds of training, fully funded by donors, the EYE project is working with local training providers on a sustainable financial model that’ll allow to carry on with the training without donor support. One key change introduced has been to expand the profiles of trainees – that is, the local training provider expands the offer to both women and men. Trainees pay a fee on enrolment. With the completion of the technical and soft skills training, they start applying for jobs with the help of their mentors as part of the mentorship programme. The training provider collects 10% of their earnings with the start of the trainees’ first work contract. This continues until the final cost of the training is covered. The first jobs online are usually not high in payment and therefore the training provider doesn’t want to discourage trainees by taking a large portion of their earnings. Another complementary financing mechanism is the subscription model. The main barrier for training providers to target unemployed youth is the affordability issue. By this, we mean both availability of cash (liquidity) and trust (willingness to pay) due to the quality of training programmes. 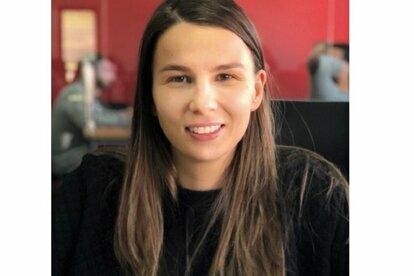 Most unemployed young Kosovars are uncertain about their career paths. They’re interested in increasing their chances of securing employment by broadening their skills sets. The challenge, however, is paying for more than one training programme for unemployed young people isn’t feasible. As a result, the training provider offers a monthly payment for 12 months during which the training provider will offer 30 trainings. The membership to the training centre costs the same as a gym membership in Kosovo. Hence affordability (availability of cash) becomes less a problem. An additional financing mechanism that has been tested by the EYE project is conditional contract. Here is how it works. First a young person needs to identify a job that may fit her/his profile. If the employer feels that the job seeker meets basic requirements but needs additional skills, the job will be offered on conditional contract basis. Meaning, the job seeker will need to go through additional training to improve missing skills. A conditional contract lays out the benefits and conditions of employment only when the job seeker obtains the skills needed. The training provider plays a key role and is the main partner of the EYE project. Once the job seeker goes through the training and successfully completes it, a final interview with the employer will take place. Payment for the training will be done in three instalments once the job seeker secures employment. One conclusion that can be made from this experience in Kosovo is that skills development isn’t simply about designing and providing training; its success depends on addressing different dimensions such as ensuring sustainable financing. In other words, training programmes need to be available (accessible and meet the demands of the labour market), they need to be affordable and enable trainees achieve the goal of entering or re-entering the labour market. Often different initiatives fail to seriously take sustainability of training programmes from the start. The project also understood a pattern that has been emerging in the skills development –more and more training providers play critical role on job matching, which is increasingly happening in the skills development area. Such a trend is also playing an important role of lowering the risk of unemployed youth to invest in new training programmes, as training providers are involved in ensuring the job placement of trainees. The private sector has also better access to skilled labour force for their business growth. Success is also determined by building communication mechanisms between training providers and private sector. Young and Aspiring but Unqualified and Jobless: What July 15 Means to Youth Unemployment? Lea Shllaku is the Skills Intervention Manager of the EYE project. Her previous experience includes work for the Government and private sector in Kosovo. Lea holds a master’s degree on Institutions, Development & Globalisation at the University College London. Her areas of expertise are in designing and managing interventions on skills development and private sector growth.